Solarization is a simple technique that captures the radiant heat energy from the sun, much like a greenhouse. Since July and August is no time for planting – it is too hot, you might as well take advantage of the heat and make it work in our favour and carry out soil solarization. Why not prepare soil using the intense heat from the sun to “cook” garden pests and diseases to death? It is an effective, organic alternative to pesticides, herbicides, and fungicides. One of the best nonchemical ways to get rid of weeds, and some diseases and pests, is to solarize your soil. 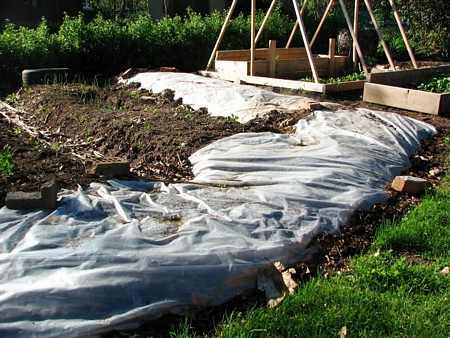 It consists of covering the soil with a clear plastic tarp for 4 to 6 weeks during a hot period of the year when the soil will receive maximum direct sunlight. When properly done, the top 6 inches (15 cm) soil will heat up to as high as 50-60° C.
Over several weeks, that is hot enough to kill a wide range of soil inhabiting pests such as wilt and root rot fungi, root knot nematodes, and noxious weed seed. In addition, solarization stimulates the release of nutrients from organic matter present in the soil. It is especially effective for treating garden soils, where the intent is to plant vegetables, herbs, and flowers. While normally this technique is used in areas with lots of sun and high temperatures, like ours, it can be modified for cooler areas and for cooler times of the year. 1. The area to be solarized should be free of debris and large dirt clods. If you have clods, till the area to be treated. It is necessary to break up soil clods and plant debris in order to enhance heat conduction through the soil. Then rake the soil surface smooth. A fine soil surface will allow the plastic covering to be placed in close contact with the soil, with few air pockets to interfere with direct solar heating. 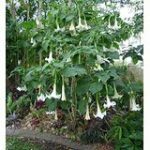 However, if you have a weedy area that is out of control, or grass that is hard to get rid of even with tilling, cut down the weeds and get rid of the grass as best you can, and then proceed with the next steps. 2. Before applying the plastic, the soil should be moistened. Wet soil conducts heat better than dry soil and will also “wake up” dormant weed seed. 3. Place clear plastic over the soil surface and bury the edges, or place bricks or heavy objects on the edges, to keep the plastic tightly in place and from blowing away. Adding a second plastic sheet will increase the effectiveness of the method by creating a mini-greenhouse effect (Use objects to create an air gap between the layers of plastic). The plastic can be clear “painters” plastic which vary in thickness from 1 to 6 mm and is available at most “Ferreterias” or DIY stores. The thinner plastic will allow better soil heating since it will reflect less solar energy, but is also more likely to tear or deteriorate in the sun. I recommend using plastic of 2-3 mm. 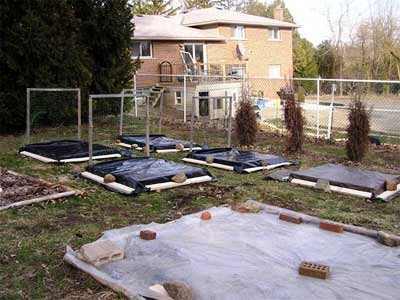 The plastic should be left in place for 4-6 weeks to allow the soil to heat to the greatest depth possible. In cooler temperatures, you may have to leave the plastic on a bit longer. You can monitor soil temperatures under the plastic by placing a soil or compost thermometer through the plastic covering and into the soil. In general, clear plastic produces higher soil temperatures faster than black plastic as the heating rays from the sun will pass through the sheet and be trapped to heat the soil below. Black plastic absorbs and deflects part of the heat rather than trapping it. However, in a cooler climate or a cooler time of the year, black plastic is sometimes better than clear. Weeds cannot grow in the dark, and the soil surface near the hot, black plastic gets quite warm. 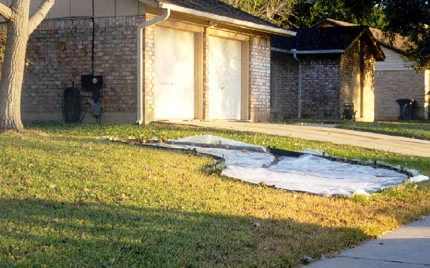 While it may not be hot enough to kill diseases and pests, it will clear the area nicely of weeds and some seeds. True solarization is most effective when done during the hottest time of the year, which is why now is a good time. That said, do try it during other times of the year if more convenient, because it is a very useful aid in weed control. When solarizing is complete, plant your bed with seed or healthy, uncontaminated plants. Do not mix untreated soil into the solarized bed. The less disturbance of the solarized soil before, and at the time of planting, the better. 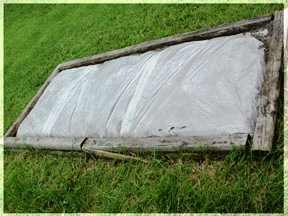 Raised beds can also be solarized in the same fashion as ground beds. Overall, solarization is by far, the most effective way home gardeners have to reduce or eliminate soil-borne garden pests. Plus, it allows you the flexibility to put the plastic down in any area that is giving you problems. The tangible benefits: Healthier and more productive flower and vegetable gardens! 46,51,9,36,,photo size 50. Gardening in Spain solarize your soil best nonchemical ways to get rid of weeds soil solarization. 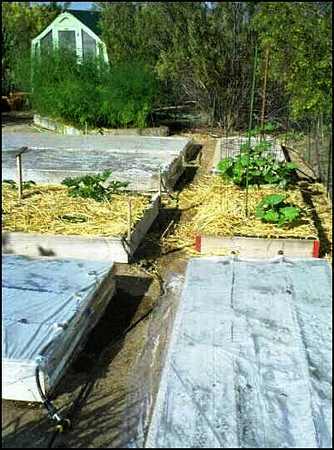 Gardening in Spain solarize your soil best nonchemical ways to get rid of weeds soil solarization.